We looked at the 15 most popular foundations on the market and considered their color choices, formula (what they did for the user’s skin) cost, how much product users got, reputation of the company, customer feedback and other considerations. These three choices topped the list in all of the categories we considered. Any one of them will provide great coverage without looking unnatural. Skin comes in all kinds of types: dry, oily, combination, acne-prone, etc. Add in all the different makeup colors that are available and the problems that can be present with your skin (anti-aging, blemishes, etc) and choosing the right foundation can start to feel like a challenging task. With all of the choices on the market, there are things you need to look at and take into consideration before purchasing a foundation for your needs. You want to be certain that you take all of those factors into consideration before you decide on a foundation so you look the best you can look. With foundation being the base of the rest of your makeup, if you choose the wrong foundation, you can end up messing up the rest of your look as well. Take the information provided in this guide to make the best decision possible for your foundation so your skin looks fresh and beautiful. BareMinerals is a well know brand that has been around for a long time. This matte foundation does a lot of wonderful things for your skin including minimizing your pores for a more seamless look, protects your skin from the environment, covers flawlessly with no heavy, cake-y feeling, and promotes cell rejuvenation as well. Studies have shown that using this makeup actually improves the skin with continued use. This product won the “GLAMMY” award, given by Glamour magazine for best foundation for four years (2004-2008). It contains no preservatives, oil, waxes or talc which makes it great for any skin tone or type regardless of your age. The innovative, unique bottle prevents leaks and spills with its design. 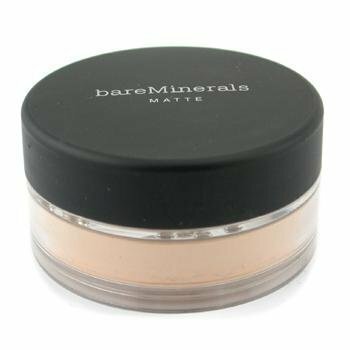 Bare Escentuals mineral foundation contains their proprietary RareMinerals ActiveSoil Complex that helps you skin look completely beautiful. It has 100% pure, high quality ingredients that don’t contain harsh chemicals that can make your skin look bad and cause it to age prematurely. Shimarz hypoallergenic, chemical free foundation contains a bunch of ingredients that are great for your skin including aloe vera, shea butter, grapefruit, rice powder, vitamin E and more. It provides natural protection from the sun and won’t clog your pores like so many foundations do. 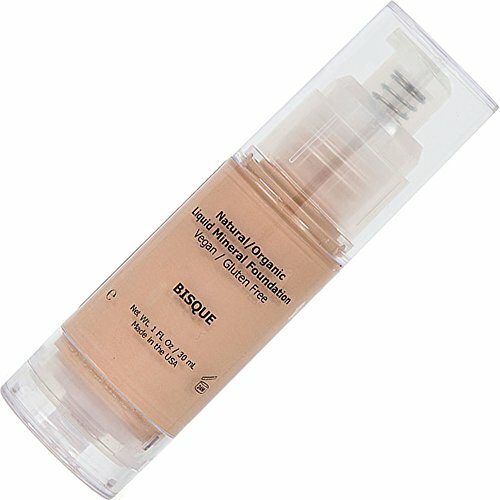 This foundation soothes and hydrates the skin, rather than depleting it of the nutrition and moisture it needs. This great foundation provides users with full, non-cakey coverage that will conceal rashes, blotchiness, redness and unevenness, birthmarks, dark circles, acne and more. You will have a flawless canvas in which to apply the rest of your makeup. The all natural, vegan certified and gluten free foundation softens lines and wrinkles, protects from the sun, moisturizes and much more. Your skin will actually improve with continued use of this product. You don’t have to worry about parabens, lead, phthalates, sulfates, dyes or petrochemicals with this product, it contains none of them. Very Light foundation by Shimarz is a high quality foundation that is only made in the USA. They offer a full no risk, money back guarantee that will return your money if you are not completely happy for any reason. Airbrushing makeup has become more popular over the years for the incredibly smooth look that it provides. It will minimize the skin’s imperfections and give you a natural looking finish that can’t be matched with traditional foundation you spread with your fingertips. This oil-free foundation has no harsh chemicals or preservative and is mineral based as well. After application, it stays on a long time, not fading or disappearing like other foundations can. It is also smudge proof and water resistant too. It can last as long as 24 hours without caking or cracking. Using this makeup means no more having to fix your makeup after a hard day at work. 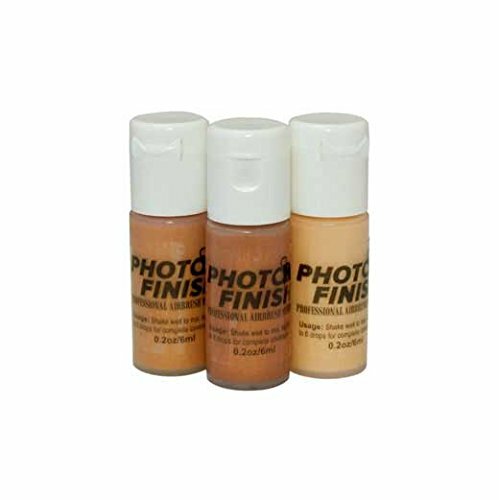 This photo finish foundation works great for all skin types no matter what your age is. If you have sensitive skin, photo finish will work just fine for you since it is hypoallergenic, fragrance free and contains no alcohol or harmful parabens. It does not use or advocate animal testing as well. If you don’t have an airbrush, don’t worry, use can use a foundation brush to apply it with the same great benefits to the skin and none of the problems. Foundation is used by millions of women to cover blemishes and even out their skin tone so the rest of their makeup looks great. It provides the base in which to apply blush and other makeup for a flawless look that they can be proud of. These three top rated foundations above contain no harsh chemicals that can further damage the skin and all three of them are from reputable companies that have proven the quality of their products. Each one provides the user with complete, flawless coverage they can be confident in. Read the buyers guide below to learn even more about choosing the right foundation and what you need to consider before you purchase one. With all of the choices on the market, it is important to know exactly what you need to look for so you don’t purchase a foundation you will be unhappy with. There are several things you need to think about when choosing the right foundation for your skin. We have listed several of the considerations that you need to look at before making your final choice. What is your skin type? – You need to know whether your skin is oily, dry or a combination of the two before you choose a foundation. Choosing an oil based foundation when you have oily skin is a recipe for disaster. Making sure that you choose a makeup that matches the skin type you have will ensure that it looks the best when you apply it. Dry skin should have a liquid or stick foundation that won’t settle in the creases and make you look old. Oily skin should have a powder type foundation that will help control the oil so you don’t look greasy or shiny. What Coverage do you want? – Do you want full coverage that covers freckles, blemishes and other skin imperfections? Do you like your freckles and want them to show through? There are many different types of coverage to choose from, from a tinted moisturizer for light coverage to full coverage that will hide everything. Skin’s Undertone – You want to make sure that you know the undertone of your skin. Is it more yellow or bluish? Looking at the veins on your wrist will give you some insight to the answer to this question. If the veins have an olive color, you probably have a warm skin tone. If they are mire blue or purple than you are a cool undertone and if they are more blue/green you have what is called a neutral undertone. Knowing this can help you choose the right skin tone color for your foundation. Testing against the Jawline – Testing your foundation against the jawline will ensure that you have the right color. If you have purchased your makeup online to take advantage of the great deals available, you may not be able to do this step, but if you know the undertone, you can get very close. You don’t want to choose a color that looks unnatural and doesn’t blend, leaving a definite color difference between your neck and face. The idea of foundation is not to look like you have it on while still getting the coverage you want. There are many different forms that foundation is available in. Which you choose is largely about personal preference, but skin type can also be a determining factor. We have outlined the different forms of foundation that you have to choose from. Cream foundation – cream foundations work great for those who want full coverage without the heaviness. They are good for filling in lines and giving the appearance of plump, hydrated skin. They are available in a large array of color choices and are best applied with a makeup sponge or foundation brush. Liquid Foundation – Liquid foundation is probably the type that is most often used. It goes on smoothly and is easily applied with a sponge. It can also be applied with the fingertips. Liquid makeup can provide full coverage or light to medium depending on the formula that is used. It is popular for using around the eye area for hiding dark circles. It can be available in waterproof and all day wearing formulas so it doesn’t disappear or fade. Sometimes the all day formulas can cause skin rashes, so if this is the case with you, look for natural formulas that are made from organic materials and that don’t have chemicals. Mousse Foundation – This super light foundation offers light to medium coverage and feels like spreading air on your skin. It usually comes in a pump or spray bottle. If you have dry or very wrinkled skin, you may find that mousse foundation doesn’t settle into the crevices and wrinkles the way other forms can. Tinted Moisturizer – This is the lightest coverage you can get and provides many benefits to the skin without adding a thick layer of foundation on type. If you have flawless, clear skin already, you may love what a tinted moisturizer does for your skin. They soften and protect your skin from the sun’s rays as well as environmental damage. Mineral Makeup – Mineral based foundations are relatively new to the scene and have made a big splash in terms of popularity. They are extra mild and contain natural ingredients that are known to reduce the incidence of skin rashes and irritation. If you have super sensitive skin or allergies to many products, you may want to give mineral foundation a try. Cream to Powder – This newer type of foundation starts off like a cream or liquid and then dries to a powder like consistency that minimizes oil and leaves a soft looking finish. With a cream to powder foundation you will not need foundation and powder since it combines the two products sufficiently to provide the same coverage that achieves the same results. Remember that if you have very dry or wrinkled skin, this may not be the best choice for you since the foundation can settle in the wrinkles and crevices on your face. Most makeup routines include starting with a good quality foundation that is the base for all your other makeup. There are large numbers of types, colors and choices on the market. Deciding which foundation you want to choose will depend on what your specific needs are what skin type you have, what coverage you are after and if you want to correct any skin problems with your foundation. The information in this buyer’s guide is to inform you about the many different types and styles of foundation so you can see which one fits into your routine and matches your skin tone and type the best. If you want to get the most from the foundation you purchase, make sure to get the one that matches your needs and preferences the best. It doesn’t matter if the top selling foundation is a powder based foundation if you have super dry skin that looks like a mosaic when you apply powder foundation, with all of it settling into the creases, dry patches and wrinkles in your skin. Choose the best foundation type and formula for your personal needs and you will not be throwing your money away.